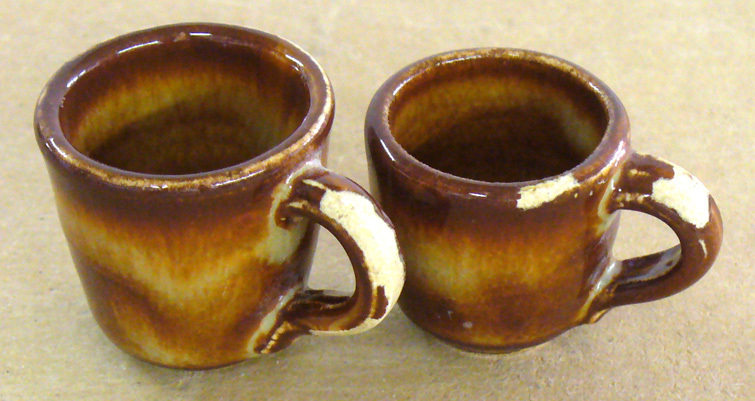 One of the most popular Albany Slip glazes was 11% lithium, 4% Tin and 85% Albany Slip. 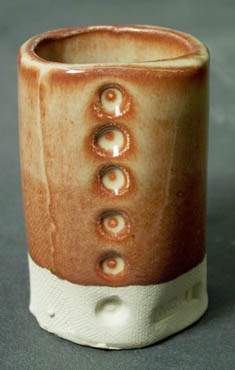 A portion of the Alberta Slip must be milled or the glaze will crack during drying. This recipe reduces the lithium to reduce shivering problems (that were common with this) and it employs a frit to help melt the glaze. The surface is very smooth and variation in color with thickness is very good. The added alumina hydrate darkens the color and slightly dulls the very glossy nature of the recipe, you can leave it out if you want. 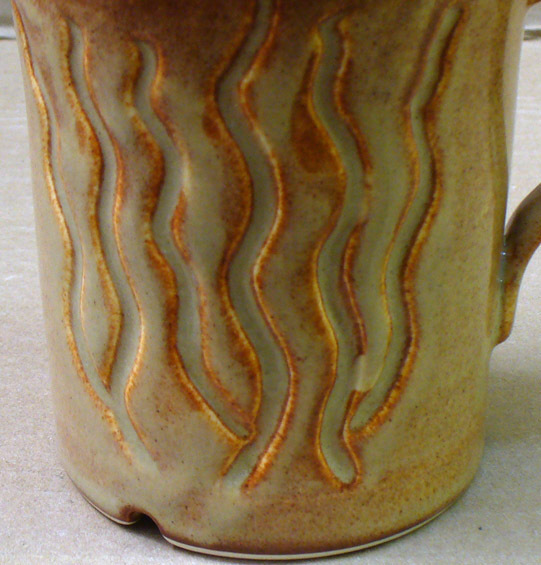 Visually, this glaze works very well on porcelain showing variegated effects even on smooth surfaces, especially where very thinnly applied. However it crazes on porcelains, please use the alternate lithium brown recipe. Roasted Alberta Slip (right) and raw powder (left). These are thin-walled 5 inch cast bowls, each holds about one kg. I hold the kiln at 1000F for 30 minutes. Why do this? 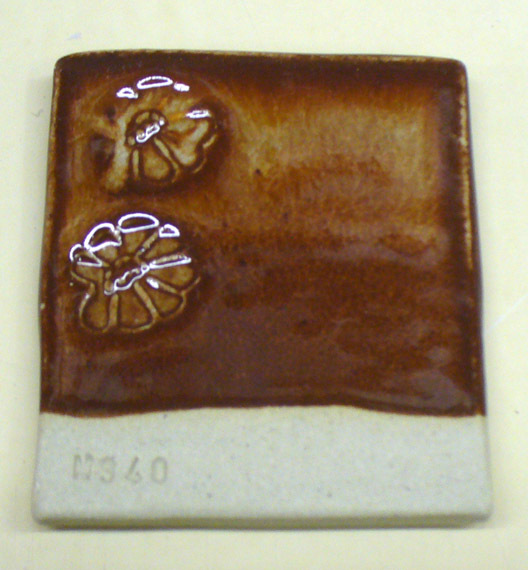 Because Alberta Slip is a clay, it shrinks on drying. Roasting eliminates that, a 50:50 raw:roast mix works well for most recipes having high percentages of Alberta Slip. And 1000F? Calcining to 1850F sinters some particles together (creating a gritty material) while 1000F produces a smooth, fluffy powder. Technically, Alberta Slip losses 3% of its weight on roasting so I should use 3% less than a recipe calls for. But I often just swap them gram-for-gram. This is 85% Alberta Slip, 11% lithium and 4% tin fired at cone 6 in oxidation. Like the original Albany version, it has a very low thermal expansion (because of the high lithium content) and likes to shiver on many bodies. Alberta Slip 75, lithium carbonate 10, tin oxide 4, nepheline syenite 11, calcined alumina 5. This has been applied very thinly, yet still covers very well and exhibits alot of variation even where thicknesses are slightly different.